Learn what our medical community is doing locally and around the world to prevent disease from ravaging communities near and far. 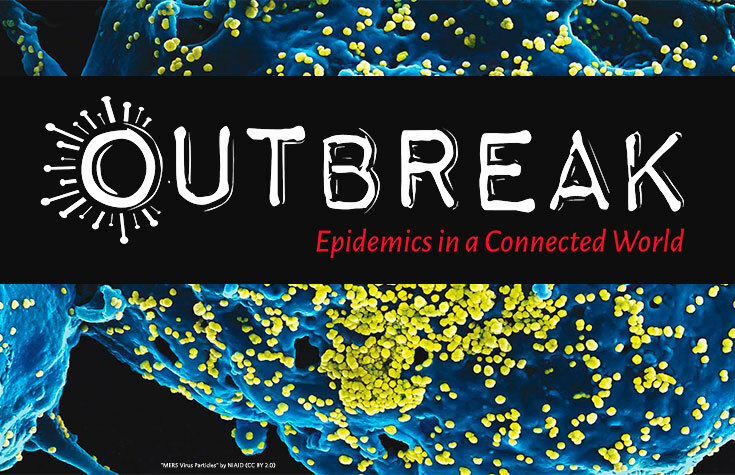 Join us at the library for a series of “Outbreak: Epidemics in a Connected World” events, presented in partnership with the American Society of Microbiology. Our world is more interconnected than ever before–by global travel and trade, by technology, and even by viruses. This display invites citizens of all ages to join epidemiologists, veterinarians, public health workers and researchers as they rush to identify and contain infectious disease outbreaks throughout the world. Presented in partnership with the American Society of Microbiology, MU Bond Life Sciences Center and the Smithsonian Institution. Wednesday, January 30 • 6:30 p.m. Directed by Donald Rayne Mitchell, this film tells the inspiring story of Dr. Maurice Hilleman, a man with an unwavering focus: to eliminate the diseases of children. A discussion follows, led by Dr. Kinjal Majumder. Presented in partnership with the American Society of Microbiology, MU Bond Life Sciences Center and the University of Missouri School of Medicine. Saturday, February 2 • 11 a.m.-1 p.m.
Join members of MU’s student chapter of the American Society of Microbiology for a demonstration of foldscopes. These portable paper microscopes cost less than one dollar to build and are expanding global access to science. What Can We Learn From HIV? Saturday, February 9 • 1-2 p.m.
Dr. Margaret Lange from MU’s Department of Microbiology and Immunology will share her current research on viruses, many that cause debilitating and life-threatening infections, as well as a variety of human cancers. Her work seeks to answer basic HIV biology questions that may reveal new ways to target the virus therapeutically.